This web site has two magical directions. One is full of Maureen’s mural work from 18 years of professional painting for clients. 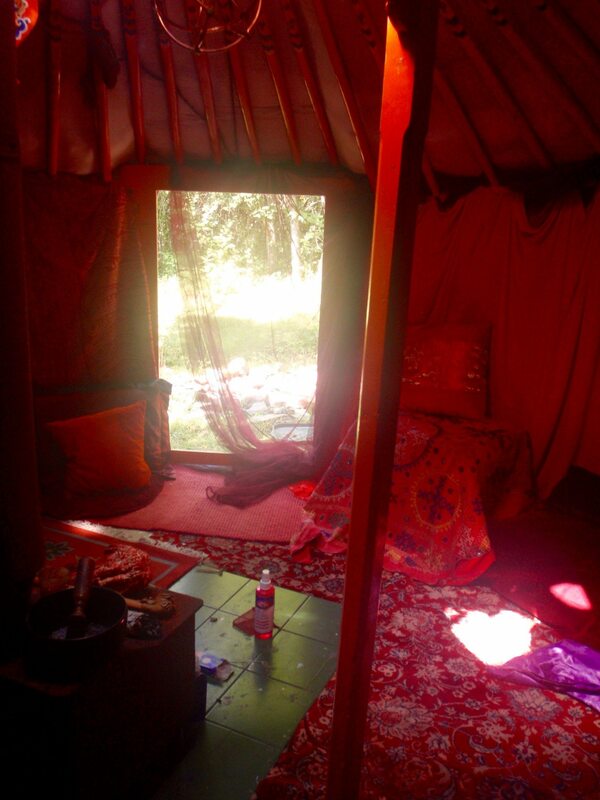 The other direction shares her venture of opening her studio/home to host shamanic retreats. which explore the natural technologies of the Womb. Please search the menu to find many examples of Maureen’s murals in schools, businesses, homes. Her art is closely aligned with Wyldwood Sojourn. who self conceived the Peacemaker a 1000 years ago. here within a 10 KM radius of were they lived! 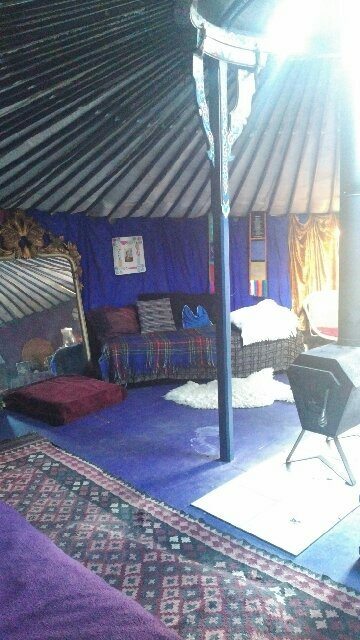 Below is our tiny Dark Lodge dedicated as a pure temple space for women. 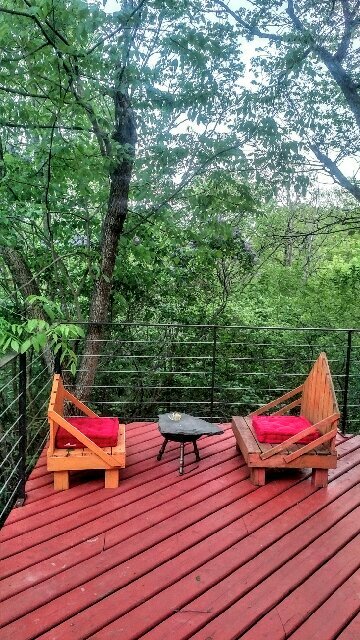 You will find, in the menu a schedule of retreats hosted here on our two wooded acres. 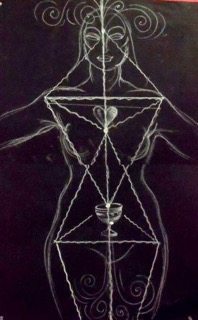 Our alchemy within- the practices and traditions that have been hidden and dismissed, are still here waiting to be rediscovered! It is time to take back our skills & create a paradise on earth once more. Natural Technologies of the Womb. accompanied by Cellist Amber Walton-Amar. quiet, dark space that is clean and purified. You may use meteorites or a grounding stone such as hematite, obsidian or loadstone to trace the geometric patterns given and increase the effect. You may emerse in water and bask in waning moon rays! Befriend the elements and ask for their help! Please contact me at no charge, for any further questions. 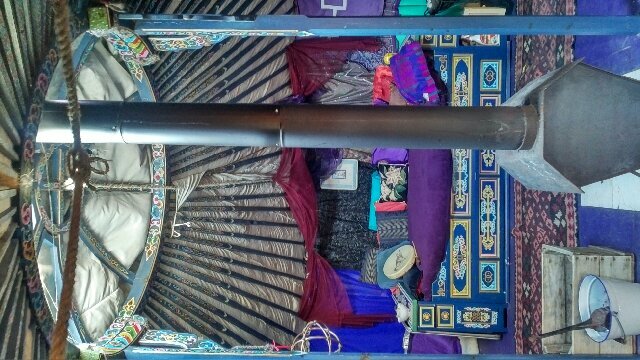 Wyldwood Sojourn: meditative yurt retreat. 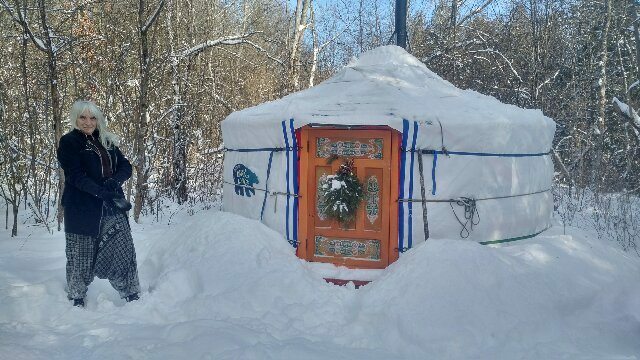 I want to thank the community for their support in assisting with funding for the purchase of a 20′ Mongolian Yurt to be used as workshop space and accommodation. 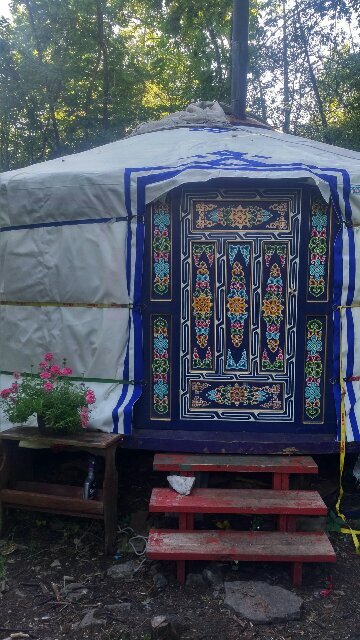 to book your adventure in our magical yurt. 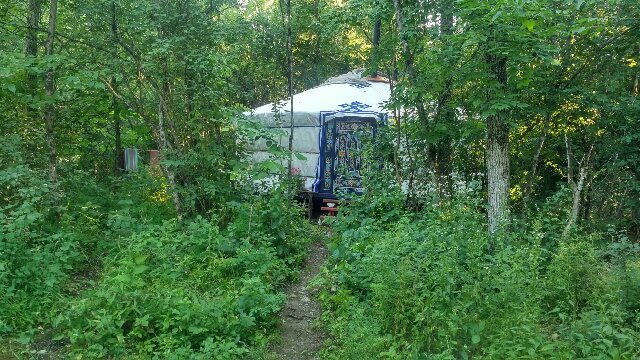 with firewood, an outhouse and good well water provided. 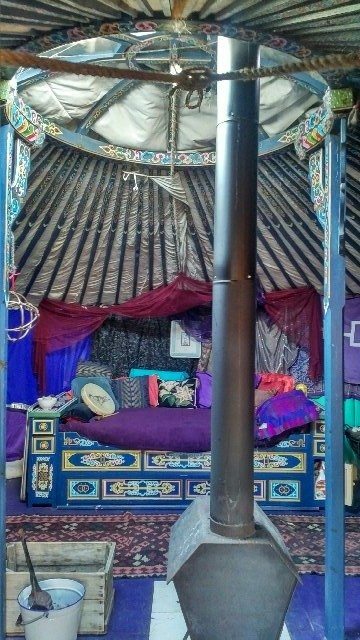 -$60 per night. max 3 guests. BYO sleeping bag. extra blankets available. In the village of Lonsdale, 5 minutes north of Marysville, Ontario. 2118 Melrose Rd. 2 1/2 hours east of Toronto and 1 1/2 hours west of the Ivy Lee Bridge to New York. on the north shore of lake Ontario. 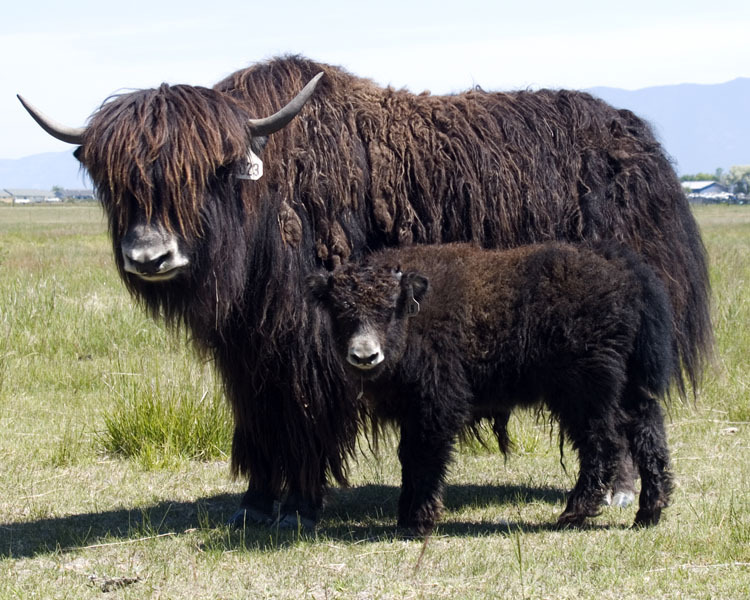 Honouring the hardy Mongolian Yak whose wool keeps the yurts warm in winter and cool in summer. Maureen Walton began her mural career in 2001 Her mentor was Ian Leventhal of Toronto. From Ian, Maureen learned many tricks of the trade. Maureen has been an artist all her life practicing in many fields. See her Bio. Her first call to a school was in 2003 in Scarborough with Principal Karen Peach. 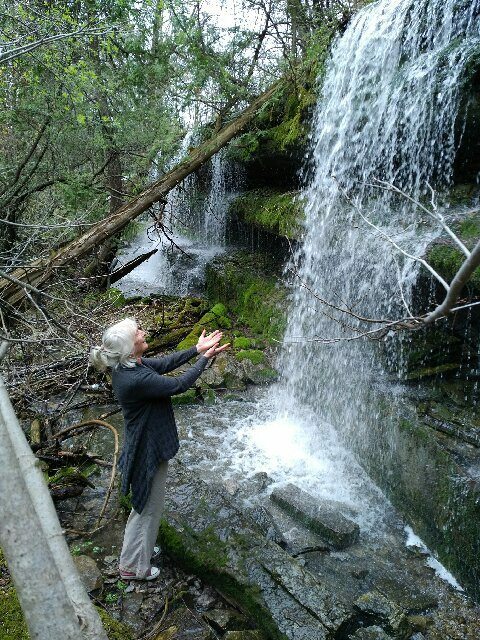 In 2004 Maureen reclaimed her country home in Hastings County. 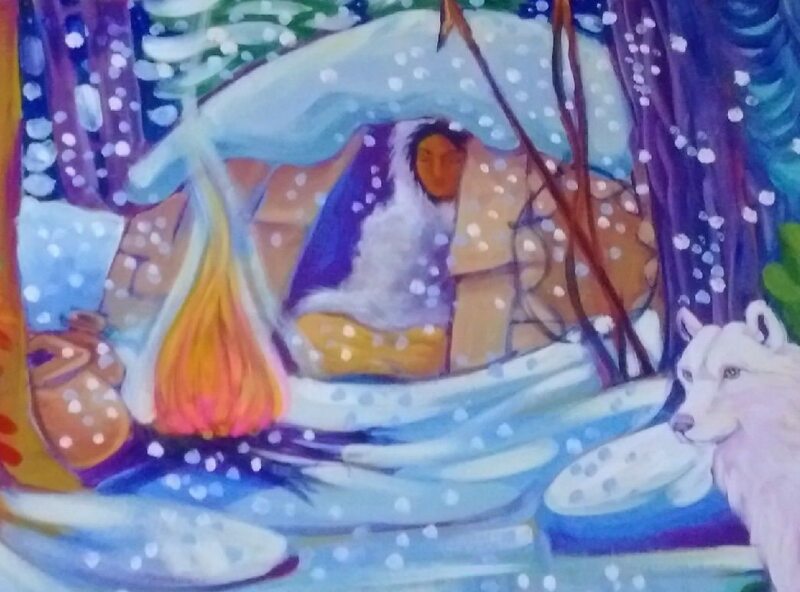 She was asked by the principal Kathleen Manderville of the Tyendinaga Quinte Mohawk school nearby, to paint the Three Sisters teaching, with direction from the traditional community. The result was successful. 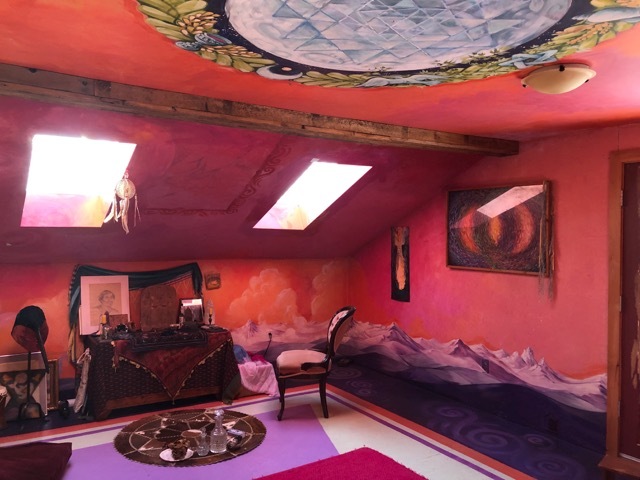 Maureen was asked to co-create many of the stories and teachings in the school halls, on ceilings and in the gymnasium. Later in 2013 the new principal, Joe Brant, asked Maureen to continue painting with the epic story of the Peacemaker. 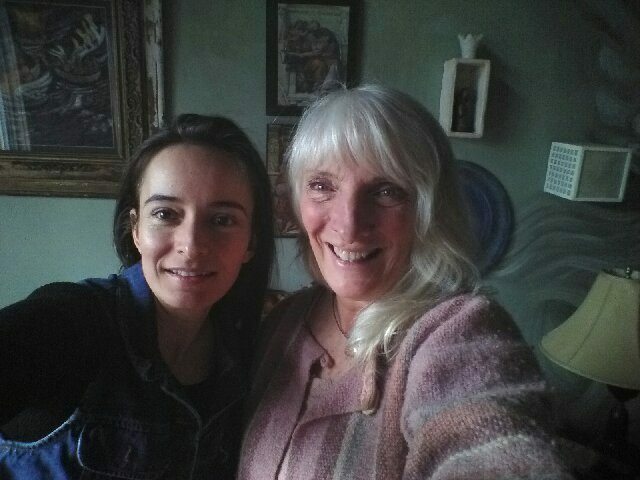 Maureen wondered if her background, being non native (to this continent) would be an issue and the response was this: You can paint, you have a set of specific skills to teach to our artists, and you follow our direction and guidance concerning the content, thats all that matters. Maureen found a way to mentor the children two by two through the whole process from underpainting to finishing. She sat in storytelling circles and drumming circles for inspiration. Maureen has a natural ability to express in large scale. She remains neutral and unbiased in her interpretations. She is honoured to bring these important teachings to life, in full colour. These murals are used as teaching tools. Maureen continues to paint many different subjects in many schools in both Public and Catholic boards, in Hastings, Kingston, in the Algonquin district and in Toronto. Kevin Reed, Paul Latchford, Shawn MacDonald and Carmela Cucchi are Education administrators who support her work. She has recently (in 2017) painted for the Kingston Katarakwi students and was asked by Joe Brown of Tyendinaga to co-create with students, a native content mural at Moira Secondary in Belleville. Maureen is currently painting for a catholic school in Kingston, the story of St. Teresa of Calcutta. She is honoured to do so. Maureen hopes that a few keen students, that she is mentoring, will step into her shoes one day. Click here to learn more about Maureen’s murals. 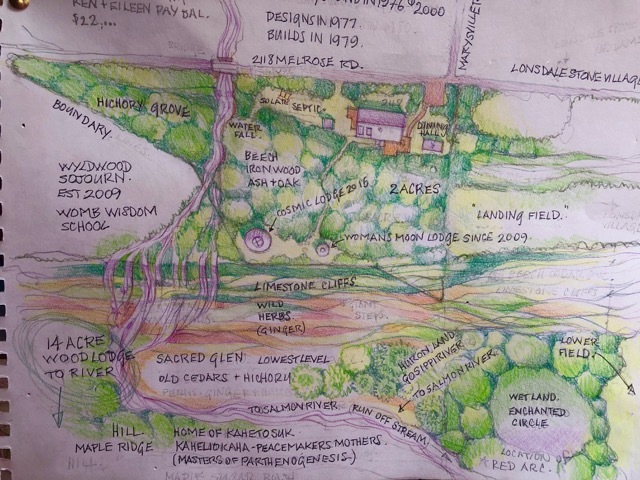 The mission of this small retreat centre is to provide a peaceful safe sanctuary for uncovering lost feminine, spiritual traditions that have languished forgotten the world over. We have grown into a Womb Wisdom School. 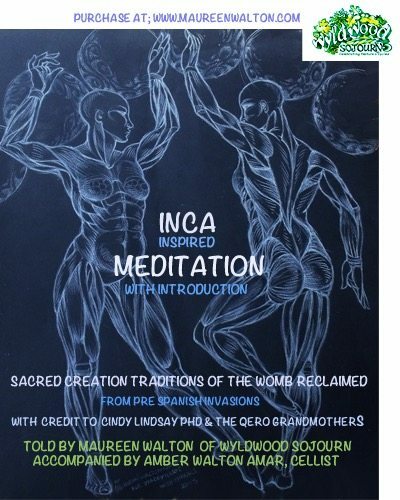 Maureen hosts teachers carrying many different streams of womb wisdom.They bring their newest research to W.S. These little known traditions hidden in all nature based cultures, are recovered through studying mythology as real history, learning to read against the grain, between the lines and by emersing deeply with the ‘Divine Source’ through dream and meditation. Click here to learn the details of what these feminine gifts are! 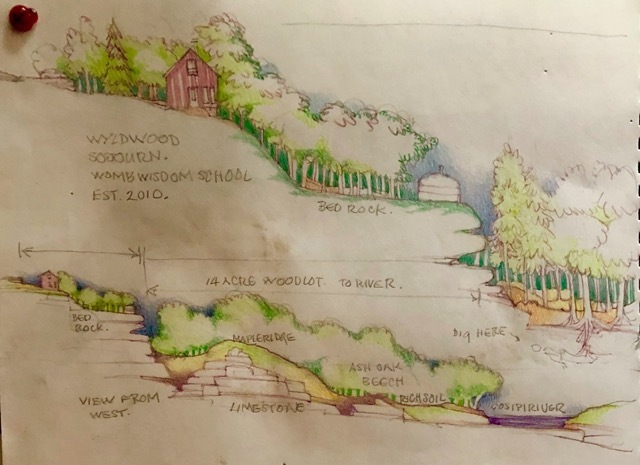 Watch this video and help Wyldwood Sojourn gently expand its facilities. As women remember and embody their true purpose and fulfil their unique gifts of creation, we will naturally expand beyond limitations, thus restoring balance and harmony within the genders and the world.